Arman was born in France as Armand Pierre Fernandez (he continued to use a misspelling of his name after a printers mistake). He studied art at the Ecole Nationale des Arts Decoratifs. Early on he was inspired by Vincent van Gogh and abstract art. Arman traveled frequently learning about Eastern philosophy, Chinese art, martial arts and served in the French military for two years. After being inspired by Dada and signing the manifesto of New Realism, Arman's artwork changed to doing collage for a solo show in 1954 and reexamining the everyday object in the true Dada manner. 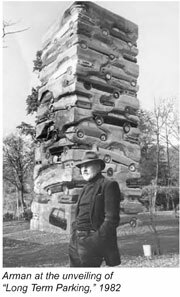 In 1967 he became an American citizen and his work became even more experimental he would create monumental sculptures out of collections of a certain object such as "Long Term Parking" in 1982. 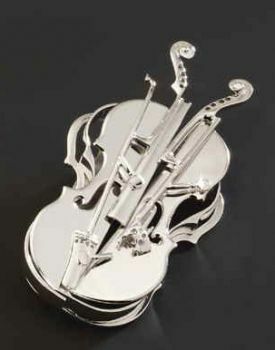 He would also create assemblages of musical instruments. I saw his work at the VMFA and totally loved the piece. It was based on the idea of things making up other things and cramming them into a space to fill it to "critical mass". This for Arman was also the point at which an object looses its individuality while still retaining part of its original self. In the case of Torso, the dolls inside it reflect the over all shape of the cast resin torso. Torso, 1972, cast acryllic resin and plastic dolls. Photo by me from the VMFA.